MYBCasino is an online casino that is operated by Mybookie which is one of the best sportsbooks for the Americans. 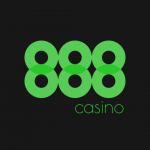 The casino is available for the USA region and it is one of their priority markets. MYB Casino is restricted at many geo-locations like Canada, Australia etc. The casino uses Betsoft software provider and have hundreds of casino games and slots for you. They have their own live casino as well. MYB Casino is licensed and regulated by the Government and Laws of Curacao. Promotional Welcome Bonus : Grab a welcome bonus up to $1000, for new players only. 24/7 US based phone support. Live chat is for registered players only. The withdrawal speed of MYBcasino is quite good in comparison to other US friendly online casinos. MYBcasino offers a 200% welcome bonus to the new players and it can go up to $1000. The bonus amount is fairly good, comparing it to other US friendly online casinos like Slots of Vegas, $1000 is less but considering the industry average, it is absolutely fine. MYB casino has a professional support system. You can contact them via email, live chat and toll free phone. The live chat is only available to registered players, this ensures that only the concerned players are served first. MYB Casino has a good choice of games, table games, 3D slots, live casino, video poker, slots and many more. They have their own live casino section where you can enjoy real life dealer casino experience. The casino uses the basic security measures like SSL encryption to keep the sensitive data unreadable. The casino uses random number generator to ensure that customers get the fair games. MYBCasino is a US friendly online casino which is a brand of Mybookie sportsbook. The customer support is professional and the withdrawal speed is better than other US friendly online casinos. Live chat is available to logged in users only. You can grab your bonus and play at MYB casino.